As I tell juries during jury selection, the arrest decision for Driving Under the Influence (DUI) is very unique. It’s one of the few crimes where a citizen can be arrested and seized based solely on the opinion of a police officer. A little-known fact is that the demand for a breath sample is not allowed by Florida law until after a person has already been arrested. Therefore it is critical that attorneys who represent citizens charged with DUI understand the very same training that police officers use to formulate their opinion that results in the arrest. Hiring the right attorney can be the most crucial state of the DUI process for getting a desirable outcome. After all, the arrested citizen is not just hiring an attorney but also making an investment in their future. Far too often people hire someone they know who is an attorney but do not focus their practice on criminal law, let alone focusing particularly on DUI. Far too often people hire an attorney who doesn’t have the trial experience necessary to zealously defend their DUI charge. Preparing a DUI defense takes time and experience. 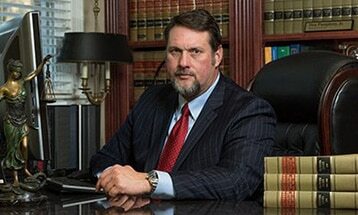 Make sure the attorney you hire has had a DUI trial recently. If you choose to hire the lowest priced attorney and ignore the most skilled attorneys, you may end up paying less on the front end but could wind up paying more than you hoped on the back end.